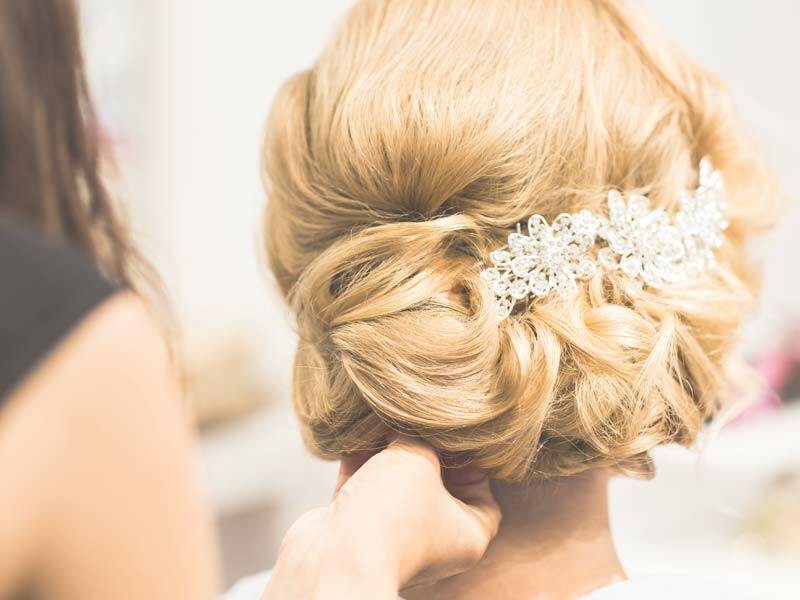 Park West Hair Design & Spa has helped hundreds of brides relax and get ready for their special day. We have a team of experts to help you design the perfect hair, make-up and more. The first step to healthier skin is to drink plenty of water. Start skin treatment of cleanser, toner, moisturizer and exfoliate 6 months before your wedding day. Ideally, you should plan on getting facials and / or skin care treatments every 4-6 weeks for 6 months prior to your wedding. Plenty of rest is also essential for beautiful skin. Avoid going to a tanning bed, try a self tanner instead. Make appointment 2-4 weeks before the wedding day. Determine the best hair style that reflects who you are, you need a style that compliments your dress, veil and headpiece. Our make-up artists will help you with fresh, beautiful make-up ideas for your special day - long-lasting lipsticks, waterproof mascaras and the perfect foundations for wedding photos. Schedule a consultation no less than 3 weeks before. You’ll appreciate the results from our method of gentle hair removal using expert techniques and superior quality waxing products. Schedule at least 1 week before the wedding. Manicures and pedicures are the perfect final touch before your wedding day. Relax and be pampered one week before your special day. With emphasis on care, our philosophy is rooted in results-based skin therapies. The finest professional skin care products are carefully chosen for optimum benefits for all skin types. You’ll appreciate the results from our method of gentle hair removal using expert techniques and superior quality waxing products. Our make-up artist will select from the most flattering colors and apply them to create the look you want for any occassion.